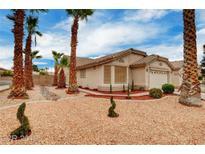 Below you can view all the homes for sale in the Cobblestone Ridge subdivision located in North Las Vegas Nevada. Listings in Cobblestone Ridge are updated daily from data we receive from the Las Vegas multiple listing service. To learn more about any of these homes or to receive custom notifications when a new property is listed for sale in Cobblestone Ridge, give us a call at 702-323-5963. Home warranty and Hi tech camera system included. What a package Deal! MLS#2089140. Signature Real Estate Group. Call to schedule an appointment to see it today! MLS#2088135. Top Tier Realty. New granite counter tops, stainless steel appliances, neutral paint throughout, and spacious bedrooms. Open airy layout. MUST SEE! ! MLS#2084471. Resolution Realty. Beautiful And Comfortable House With 3 Bathroom, Single Story. MLS#2081850. DH Capital Realty. Upgraded features include fresh interior paint. 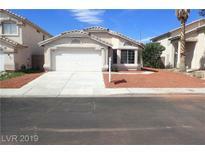 MLS#2078857. Opendoor Brokerage LLC. 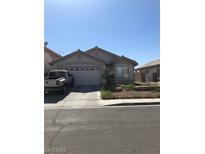 UPDATTED FRESHLY PAINTED INTERIOR , NEW tile & carpet, REHABBED bathrooms w/FRESHLY PAINTED cabinets & granite, CUSTOM showers, kitchen has been UPGRADED with FRESHLY PAINTED cabinets, NEW granite, NEW appliances. landscaping has been REVITALIZED. MLS#2077153. Wynn Realty Group. Water heater and Ac unit less then a year old! MLS#2070392. Elite Realty.